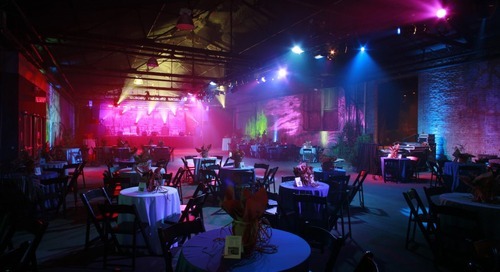 There are a few ways that NYC Event Planners can reach out to or even find new event clients. You may have to get a little out of your typical comfort zone and there are many ways to get past the fear of approaching potential clients. In this article, we’ll go over just a few. A great place to get some experience is through your own community and it doesn’t matter where you live, you can get involved in your community and not only is it a great way to pay it forward and build your skills, but you can also get to know so many people in your community and it’s a great way to get referrals. So, let’s say for example, you are working at children’s festivals in your community and there are many people in those types of community events that unfold and so you just put yourself out there and you meet different people. You meet people who are attending, you meet the organizers of the event and you let them know what it is you are up to, what is your event planning business about, what your event planning service’s is about. If you are an independent event planner and just talking about it, getting out there and just getting in the habit of speaking about your own services. Then you also want to tap into Your Own Network: this is the easiest way to get experience right off the bat, is to tap into your own network. This could be friends and family, co-workers, somewhere where you volunteer. There are several places where you can tap into your own network. This can be a great way to take your skills and blend them with somebody else’s and then offer your businesses or your skill-sets together as a group. You can do this with one other company or two or three other companies, so you kind of form this cohort and it’s a great way for you to expand your network so that you are reaching more people, but it also shows that you’ve got a network of people and suppliers who are backing you. So, whether it’s florists or caterers, it could be musicians, for example, that you’ve worked with. Establishing other business relationships and partnering with those business will also help you reach other clients, find other clients and then approach other clients. Look at other industries and look at what others are doing. You don’t have to focus on NYC Event Planners, and what NYC Event Planners are doing, you can look at other industries and see what’s working in those industries and then apply it to your services. You might have some heart palpitations and your head might be going in so many different directions because you want to make sure that you get everything right and you want to be perfect, but I can guarantee you, it’s not going to be perfect and that is okay, it’s totally fine. So, just be yourself, dress as you normally would, be professional, but don’t try and be somebody else. Speak like you normally would as well because it’s so much easier if you’re being yourself versus trying to be somebody else.